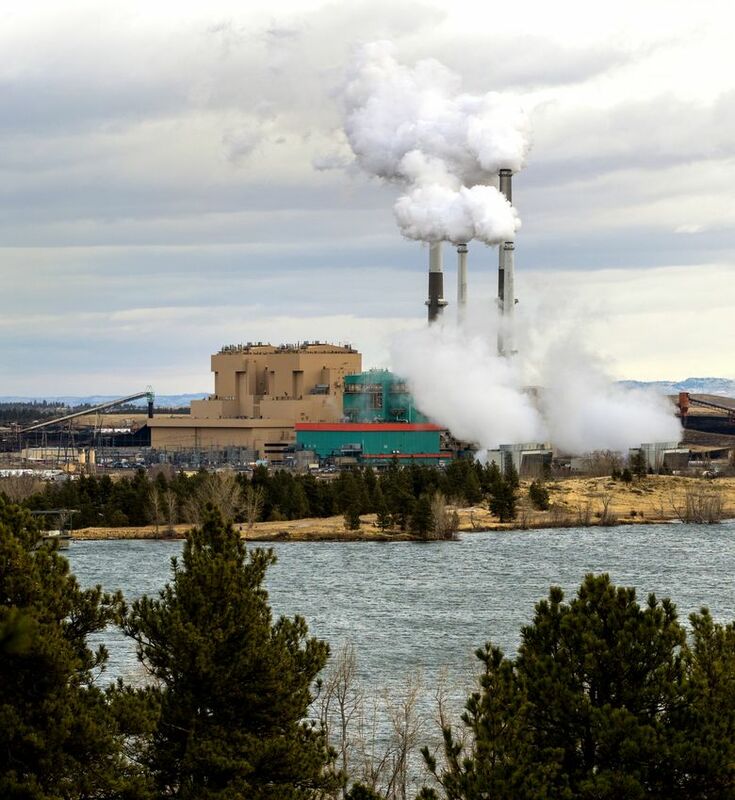 A failure to meet air-pollution standards has largely shut down two of the four units of a Montana coal plant that generates power for Puget Sound Energy. The Montana Department of Environmental Quality reports that since June 28, Colstrip units 3 & 4 have only been fired up to conduct air-emission tests. Those are the two largest units at Colstrip, the second-largest coal plant west of the Mississippi. The idled units generate more than 70 percent of the plant’s electricity, much of which flows through power lines to homes and businesses in Western Washington served by Puget Sound Energy (PSE). Even with the units idle, there still have been plenty of alternative sources of electricity. PSE, a part-owner in Colstrip, has been buying power on regional markets and drawing more electricity from its own gas, wind and hydroelectricity facilities. “There’s been no problem meeting demand,” said Grant Ringel, a spokesman for PSE, which serves some 1.1 million customers. PSE also has been able to tap into electricity produced from Colstrip’s two older units 1 & 2, which went down for maintenance during the spring but came back on line in mid-June, according to Ringel. The longterm fate of the Colstrip plant is the subject of intense regional debate, with PSE and other owners planning to shut down the first two units by July 2022. PSE, the largest Colstrip owner, has forecast that it will stop drawing power from the other two units by the early 2030s, and hinted in planning documents that it could happen sooner. The plans for shutting Colstrip down come amid a surge in renewable-energy production as well as regional conservation efforts that have helped to tamp down demand. The June failure to meet emission standards limiting air toxics represents a new challenge for Colstrip owners. Currently, units 3 & 4 are being operated “solely for investigation and troubleshooting,” according to a statement released by Todd Martin, a spokesman for Talen Energy, the company that operates Colstrip. Jenifer Garcin, a spokeswoman for Montana’s Department of Environmental Quality, said Talen is expected to deliver a report about the emission tests by Aug. 27. The department will then review the report to see if the plant is in compliance with the regulations. The units could operate before that date, but the operators could be subject to fines if the emissions violate air-quality standards.